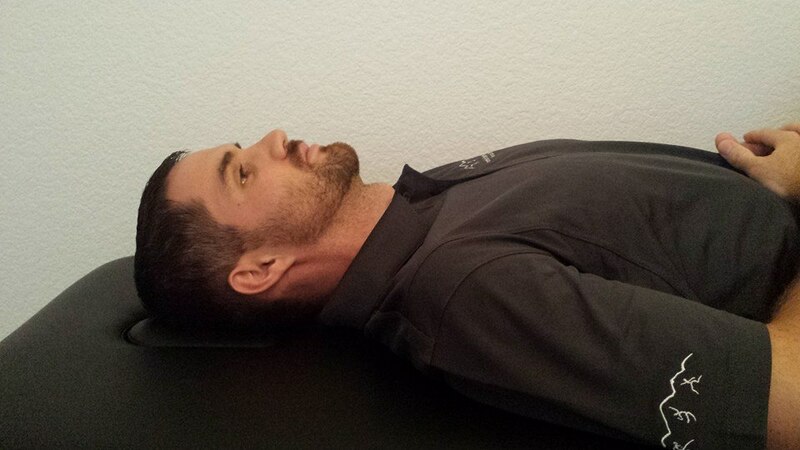 Directions: While lying down on the table, tuck your chin downward as if answering "yes" to a question. The back of your head should stay on the table or pillow (you may need to use multiple pillows for comfortable positioning). 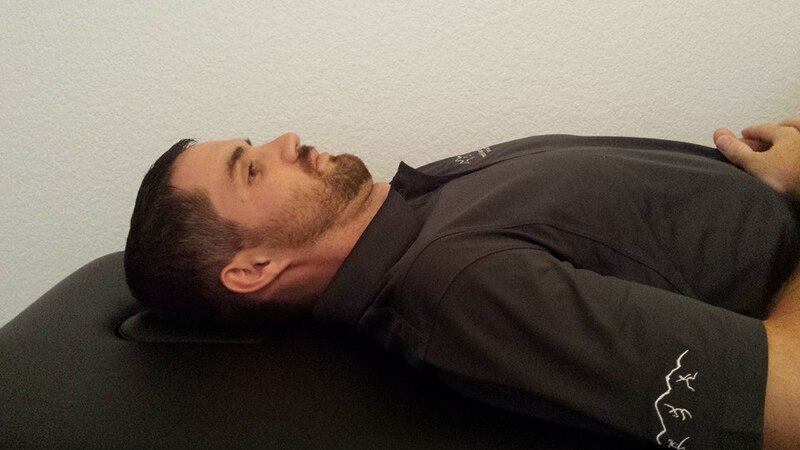 Make sure none of the muscles at the base of your neck are active while performing the exercise.